Today I attempted to hike to Uneva Pass, heading out from Frisco, Colorado. 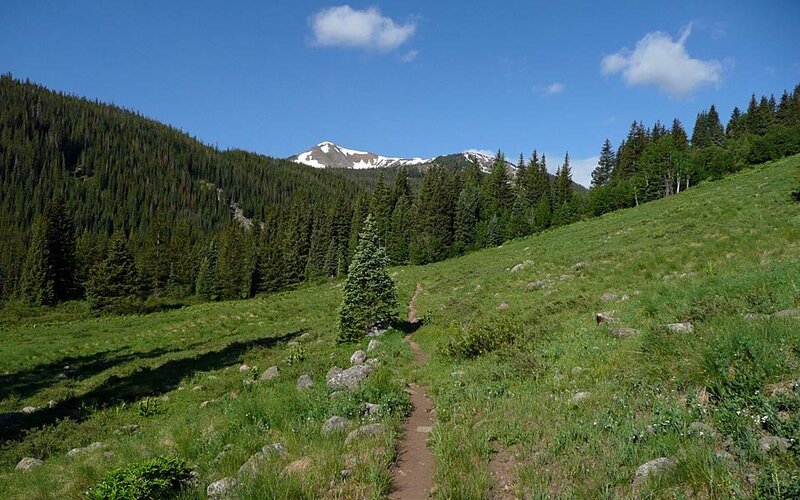 North Tenmile Creek Trail joins the Gore Range Trail about halfway to the pass and it crosses North Tenmile Creek. The creek was so swollen with snowmelt that I was unable to cross, so I turned back. It's the first time this ever happened to me in July. Please click here to see video showing what the creek looked like. Would you attempt to cross it?